Sat., Oct. 10, 2015, 10 a.m. – 12 p.m. Please plan to join us in Mt. 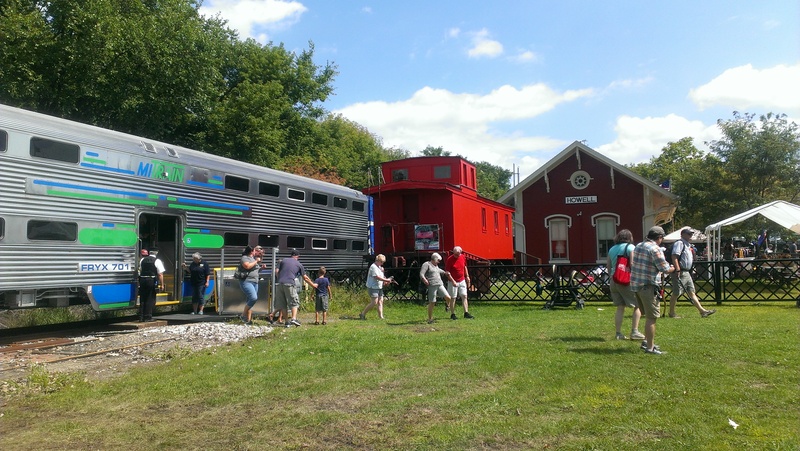 Pleasant as we explore the question “Passenger Trains on the Annie Again?” As you know, the folks in Traverse City have created a good deal of excitement around the idea of reviving passenger train service between Traverse City and Ann Arbor, a project they call A2TC. We are fortunate to have as our speaker, Chris Bagwell, who will give his perspective as Executive Vice-President and General Manager of the Great Lakes Central Railroad (GLC) on potential for passenger services along the former “Annie“ route. He will also update us on the status of the MITRAIN equipment that was refurbished by GLC for use on the proposed WALLY and Ann Arbor-Detroit commuter routes. Also on the agenda is Erin Strang, President and CEO of the Central Michigan University Research Corporation, and our host for the meeting. She will lead a group discussion of ideas for instituting a local shuttle service in Mt. Pleasant. Following the program and business meeting, we will gather at one of Mt. Pleasant’s former railroad depots for our usual no-host lunch. Chris Bagwell is Executive Vice-President and General Manager Great Lakes Central Railroad (GLC). Chris is well known to MARP for his enthusiastic work retrofitting the MITRAIN cars and facilitating their display at events. Chris was honored in 2013 as a “Rising Star” by Progressive Railroading. You can read his profile here. Chris recently “starred” as well in a video talking about GLC operations in Michigan and promoting the proposed WALLY commuter train. Erin Strang is President and CEO of the Central Michigan University Research Corporation. CMU-RC is a non-profit business accelerator that provides guidance to entrepreneurs to bring their ideas to market. 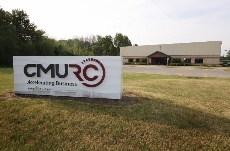 CMU-RC is designated a Michigan SmartZone — one of 15 technology-oriented centers across the state — established to offer tax incentives while supporting research development and commercialization of new technology to promote economic growth.